Pink Castle Blog: What the Kawaii Fabric Clubs means for you! What the Kawaii Fabric Clubs means for you! The Kawaii Fabric Club is an awesome new monthly fabric club that starts shipping in January! If you want to get in on the ground floor, and get the complete set of eight fat eighths or quarters per month you need to sign up before January first! Find out all about it here. 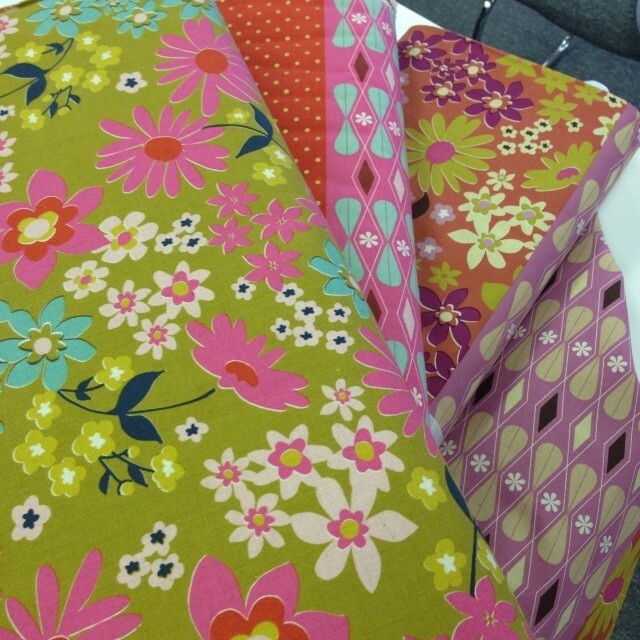 But what if you don't want a collection of super darling kawaii fabric delivered to your house every month... Wait, how is that possible? What if, much more likely, fat quarters just aren't enough? What then? Pink Castle is pleased to say we now carrying even more amazing Japanese import fabric! And there is more coming! Let me just show you some of what is in stock today! Not kawaii, I know, but still so scrumptious. Including those amazing arrows! From Cosmo Textile we have the sugar rush party that is Toki Meki Friends! I just love these fabrics! And how could I not mention Cocoland Cats from Kokka! So adorable! PS - you can enter to win a Kawaii Fabric Club bundle at Red Pepper Quilts today!